I can't believe I have lived in Utah for over twenty years and I haven't gone to this amazing gem of a place in little Mona, Utah until now. We have been missing out! 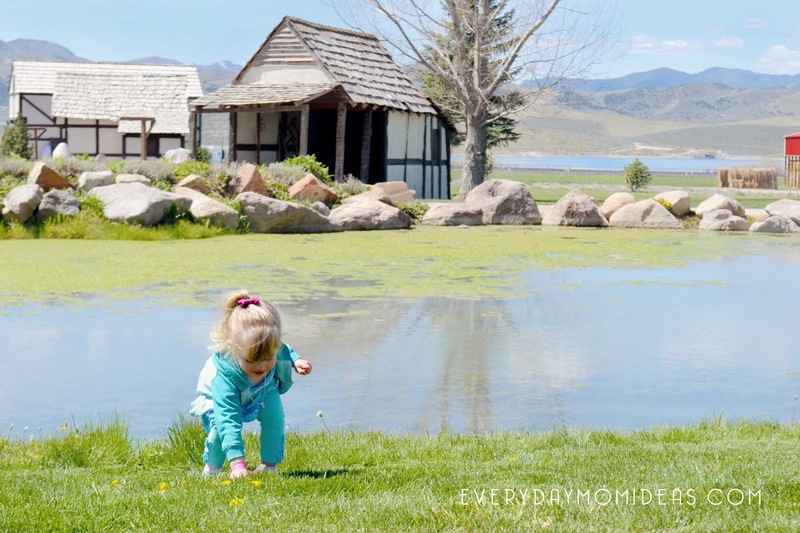 Young Living Lavender Farms is a stunning destination in the middle of Utah that almost feels like your stepping back in time. What era? Well thats a little confusing but the entire time we were there I could not get over how beautiful it all was. We were there for an entire day and not once got board becuase there was so much to do for everyone. 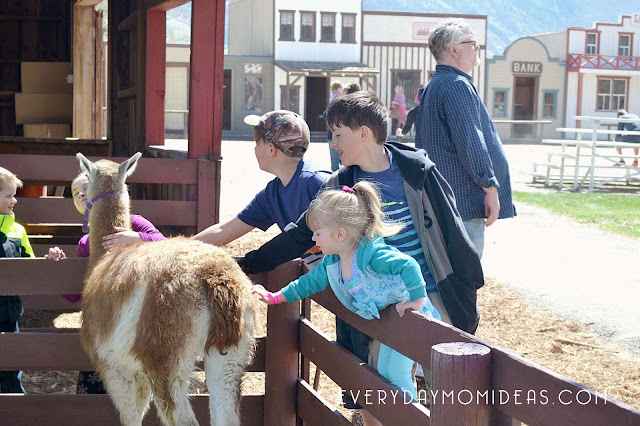 There are little things to do at the farm almost everyday but things get really exciting at the special events hosted at the farm like Easter Eggtravaganza, Lavender days and Fall Festival. We got the chance to go for Easter this year and this place did not disappoint. 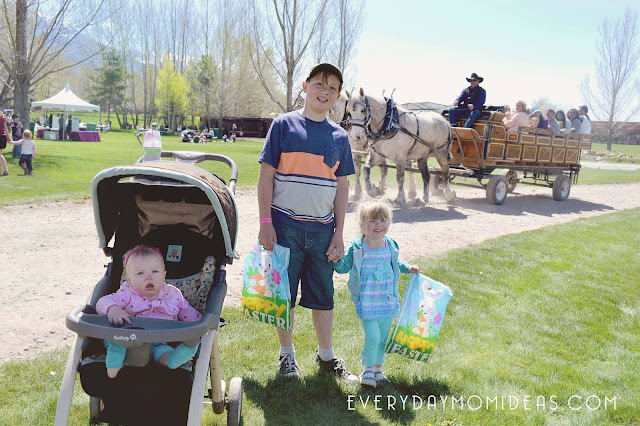 There were games, events, a little petting zoo, pony rides, crafts, and Easter egg hunts going every half hour so all the kids got to participate in the hunt. And one of my favorite features was the four to five wagon rides going on at all times throughout the park being pulled my a team of giant beautiful Draft horses... the atmosphere was exhilarating and unlike any other. One of the more permanent features is this medieval swing ride operated by hired teenagers. That was a little strange at first then it was really cool. There are also medieval little houses and a jousting arena that is used for other events. You also have the rodeo grounds and the essential oils distillery, but they were not open to the public during the Easter Extravaganza Event. For Easter they had all sorts of little carnival games, bounce houses and this awesome rock wall. Here below is a picture of part the mini midivil village with the beautiful Mona Reservoir in the background. This little pond my daughter is playing around is a steamy warm pond-like water feature. The warm water is from the hot water from the distillery. It has kind of an interesting effect and is fun to sit by while eating lunch. I do wish there were more vender food options that day but the hamburgers and hotdogs they had available were a good price. I have read that there will be more food options for Lavender Day coming up July 8th 2017. 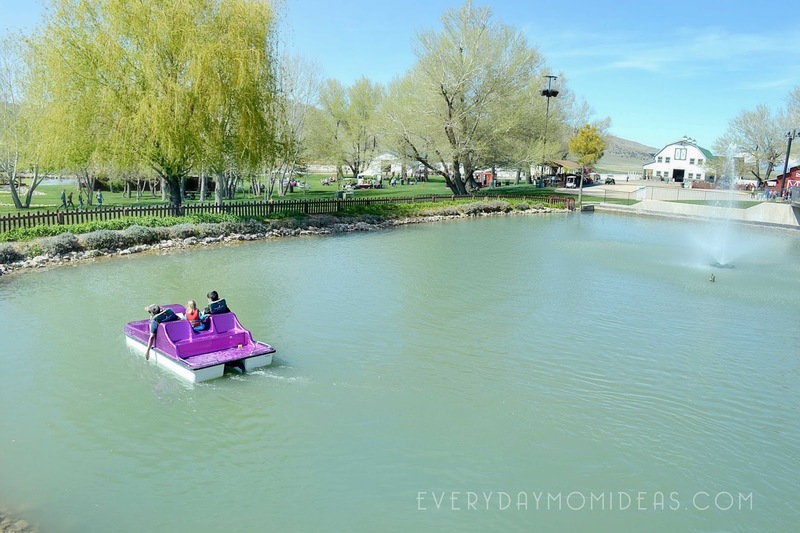 We ended our Easter celebration by riding purple paddle boats on the cold water pond. The wait was really long but the kids thought it was totally worth it. It was the only attraction that there was a long wait for so that isn't so bad. 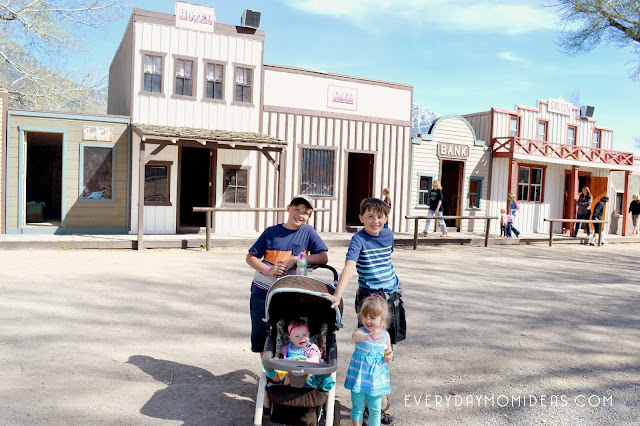 On our way out of the park we stopped by this awesome miniature western town and the kids went wild there with their imaginations. They could have spent hours there if I let them but the farm was closing. 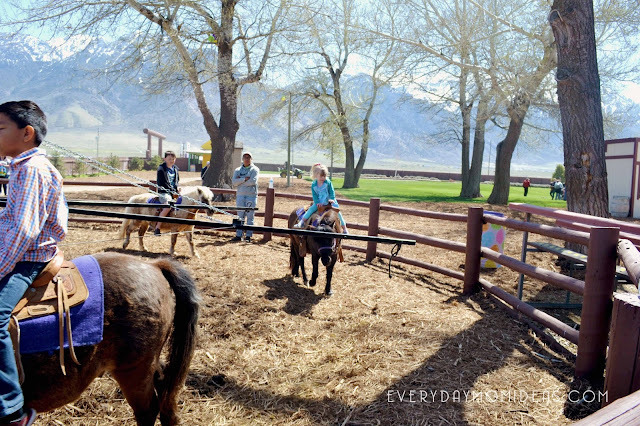 All in all this Whispering Springs Farm in Mona, Utah gets a Four and a half stars out of five from us. Everyone had a great time and the crazy thing is, is that we went when the Lavender wasn't even blooming and major parts of the farm were not open to the public and we still had an amazing time! There are so many features about this farm that I couldn't list them all but you can visit Young Living Farms website for more information and a schedule of upcoming events. So you can imagine how excited I am to being going back with the kiddos to Young Living Farms for Lavender Day on July 8th this year, because not only will they being doing all this fun stuff again (minus the Easter bunnies and Egg hunts) but they will also be putting on a rodeo, a 5K run, and the distillery will be open for public tours, plus the Lavender will be in full bloom. This post was NOT sponsored in any way, I just wanted to share this awesome experience with you because it was too good not to share. 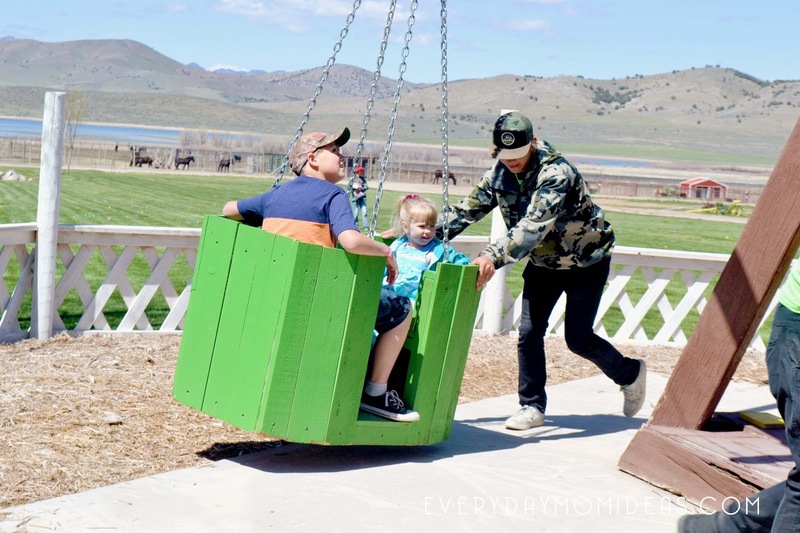 If you have been wanting to visit Young Living Farms, Lavender Day is the perfect time to check them out with your family. 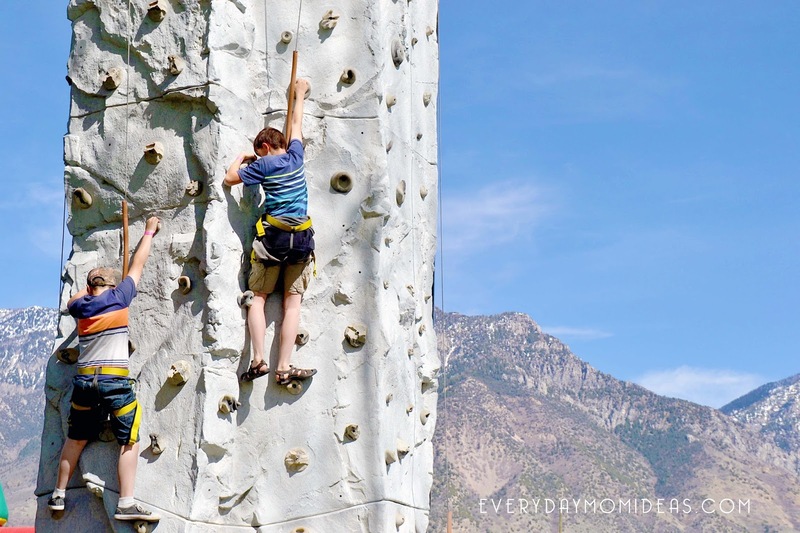 Lavender Day is their number one event all year and they are sure to be at their best. It will be an event not to miss. 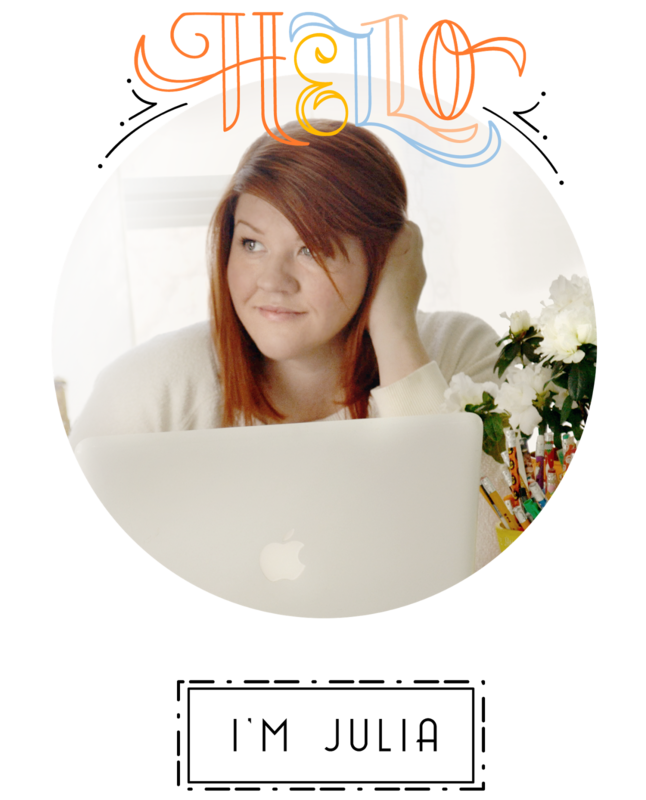 Please Share this Pinterest friendly image below with your friends or family or save later for yourself.